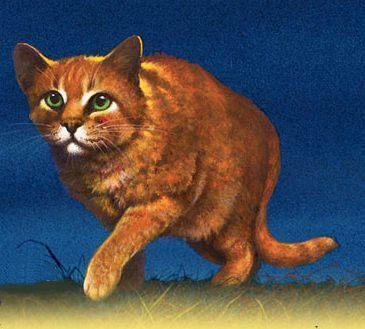 firestar. . Wallpaper and background images in the Warriors (Novel Series) club tagged: warriors cats. This Warriors (Novel Series) photo might contain ٹام, tomcat کے, ٹومکت, کیٹ, سچ میں بلی, بلی, بلی کے حقیقی, سے tabby, رانی, لہریا, and ملکہ. That cat looks a bit tubby! Lol. Cute! Anyone got one of Feathertail?